How to Delete Cache Files of Spotify? If you listen to a lot of different music on Spotify, you may notice your free space is shrinking quite fast. Spotify caches your playlist in the local hard disk so it can quickly playback the songs without having to stream from Spotify server again, however it would make your hard drive filled up rapidly. If you are in such a condition, you’d better to clear these cache files to free up space, helping your computer run smoother, especially if you have not cleared the cache for a extended period. Right now, the Spotify desktop client doesn’t come with a way to clear the cache, here we'll guide you to clear Spotify cache on Windows and Mac. Part1: How to Clear Spotify Cache and "Local File" Cache for Mac? Part2: How to Delete Spotify Cache and "Local File" Cache on Windows? 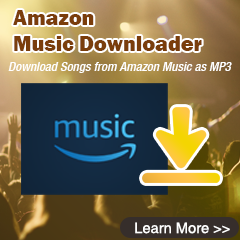 Part3: How to Download Music from Spotify to Computer? Part 1: How to Clear Spotify Cache and "Local File" Cache for Mac? The folder is probably big because Spotify caches the songs you listen to the most which includes album covers and stuff. There is no harm in deleting it. Part 2: How to Delete Spotify Cache on Windows? In some situations, even when you uninstall Spotify app, not all traces of the application are removed, and manually removing the cache may be helpful or necessary to get rid of traces left around. Part 3: How to Download Music from Spotify to Computer? Sometimes, we may need to download Spotify music to our computer and then transfer them to our portable devices like iPod, iPhone, Zune, PSP, etc. Therefore a powerful Spotify Music Converter is needed. 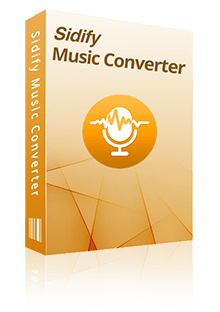 Here we recommend people try Sidify Music Converter for Spotify, which can quickly convert and download any Spotify song or playlist to MP3, AAC, FLAC or WAV audio formats with the best audio quality, as well as keeping original ID3 tags after conversion. How to Play Spotify Music on Car Stereo via USB Drive? How to Play Spotify Music on Apple TV 4?